Imagine for just a second an engine that would provide the power of a V6 with the fuel economy ratings of a four-cylinder engine. Even better, the engine could provide the power of a six-cylinder unit, but its fuel consumptions ratings would rival those of a diesel powertrain. It may seem impossible at first, but it isn’t. 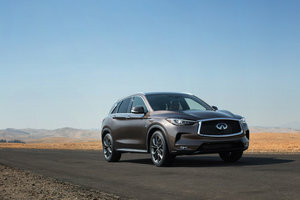 Enter Infiniti’s all-new VC-Turbo variable compression engine which has already started to win awards for its efficiency and revolutionary design. Infiniti’s new VC-Turbo engine is the first of its kind, and that may explain why it took 20 years (yes, two decades) to make it ready for production. When you take a look at how it is designed and the unique features it incorporates, it’s easy to understand why it took so long to develop. It’s also very easy to get excited about Infiniti’s future. So what is the VC-Turbo engine exactly? Well, it’s an engine that can change on the fly its compression ratio. Why does that matter? Because the compression ratio plays a vital role in both fuel economy and performance. A higher compression ratio leads to improved fuel economy while a lower compression ratio means better performance. When you have the ability to vary the compression ratio of your engine, you can change its characteristics based on the driving situation and driver needs. A multi-link system makes it possible to change the length of the piston’s stroke, thus allowing the compression ratio to vary from 8:1 to 14:1. 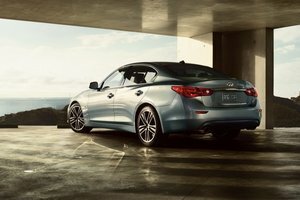 You either get all-out performance or segment-leading fuel economy, or a mix of both, depending on what you want to do with your Infiniti vehicle. Let’s say you are casually driving to work on the highway while making a few calls to get ready for your early meeting. Your mind is obviously elsewhere, and you don’t need that much performance from your engine. Better fuel economy would be nice, however. In such as situation, the piston will change its position in order to create a higher compression ratio and lower fuel consumption. On the other hand, if the VC-Turbo engine detects that you are on a winding road or perhaps even a track, or that you are in a hurry and want all the performance you can get, a lower compression ratio will be created and you will immediately have more power under your right foot. 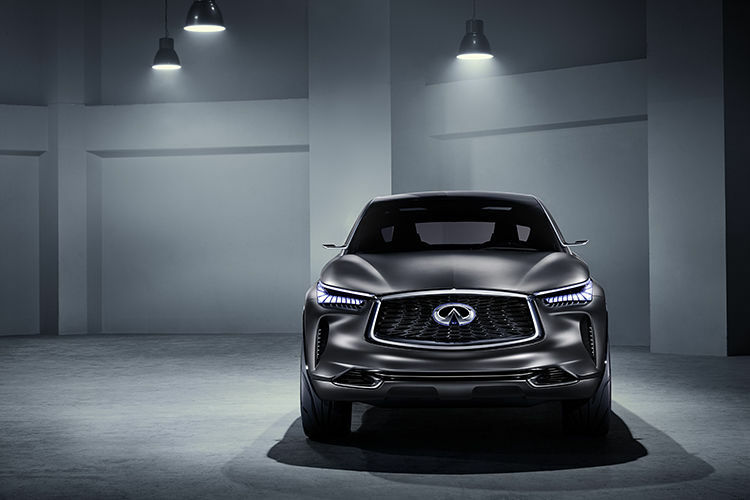 The first application of Infiniti’s new VC-Turbo technology will be in a 2.0-liter, four-cylinder engine that will offer 268 horsepower along with a 27 % improvement in fuel economy compared to similarly-powered engines. The first Infiniti model powered by the VC-Turbo variable compression engine will hit the market in 2018. 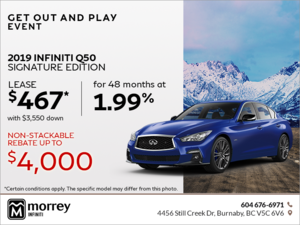 In the meantime, contact us today at Morrey Infiniti to learn more about the 2017 Infiniti lineup!